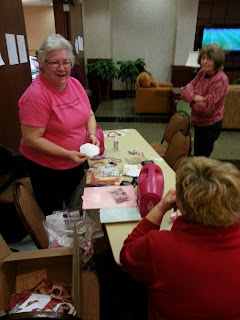 Hey Friends, I'm just back from a quick weekend in St. Louis with For Keeps Sake Paper Arts and Rubber Stamps. They hosted their spring retreat this past weekend, Girlfriends Get-a-Way, and I was invited to spend the weekend with them to teach Spellbinders card classes. 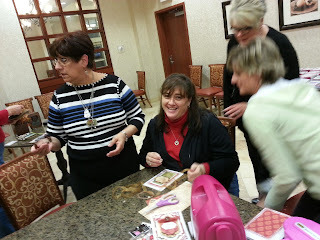 Our card class was an ongoing class that lasted throughout the weekend...it was really fun. 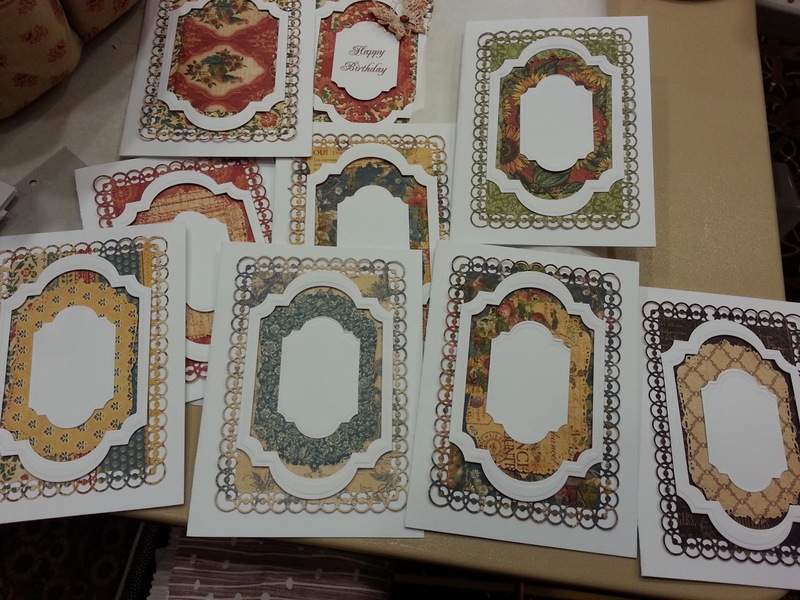 We focused on 4 of Spellbinders' newest releases 5x7 Card Creator Die Templates. 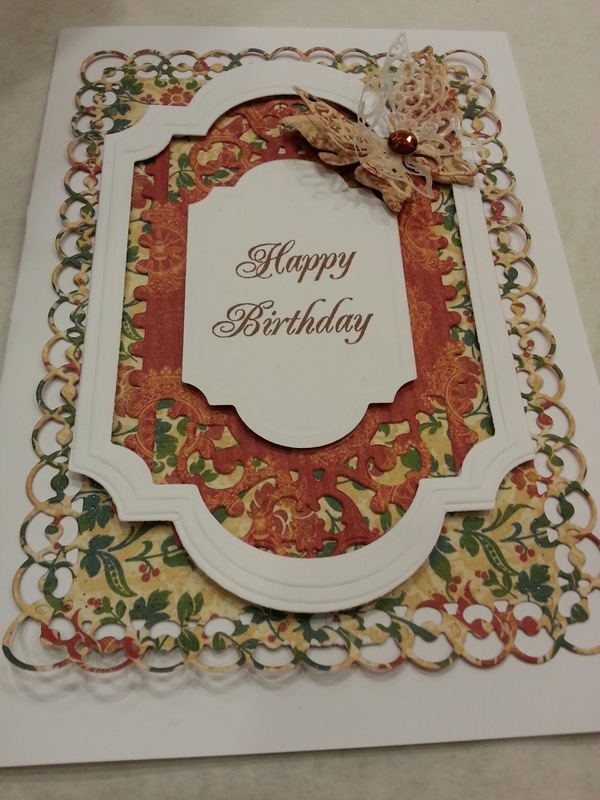 We mixed and matched those dies in lots of combinations to create beautiful cards. 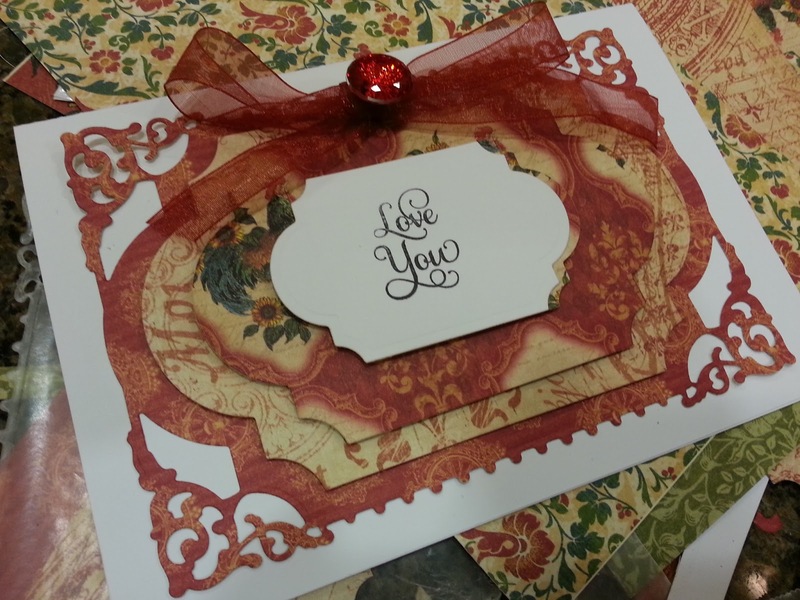 The die templates we used are a perfect example of how Spellbinders let's you "build on the core." 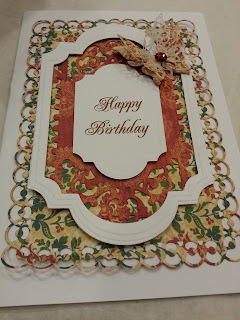 We used Enchanted Labels Twenty Eight, Detailed Scallops, Labels Twenty Eight, and 5x7 Matting Basics A Card Creators to create our cards. "Building on the Core," is a cool feature of all Spellbinders' die templates, all the dies you have ever used coordinate with all the new releases. For example, our base die for this class was Labels Twenty Eight...it's been in the line for a while. 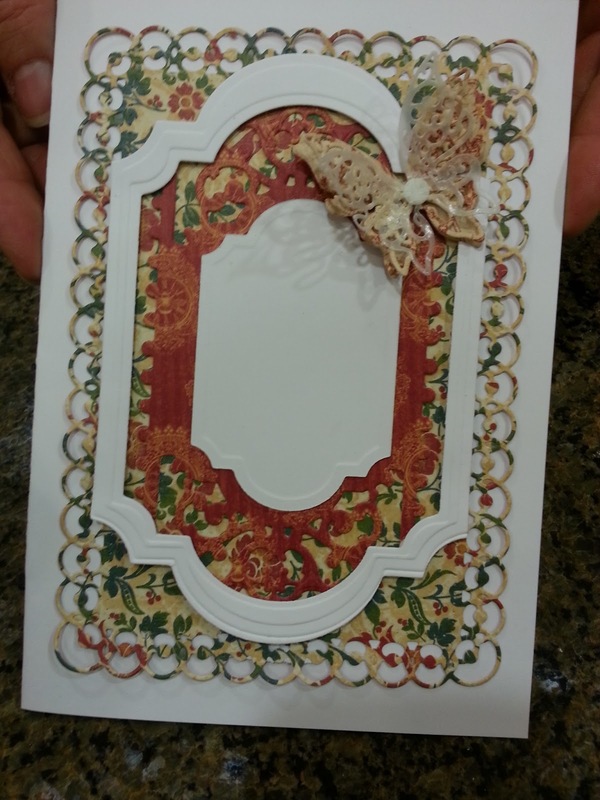 That Nestability die coordinates with Enchanted Labels Twenty Eight, with Detailed Scallops, with 5x7 Matting Basics, with all your "rectangle" dies, with other Nestability dies, and with lots of Shapability dies. 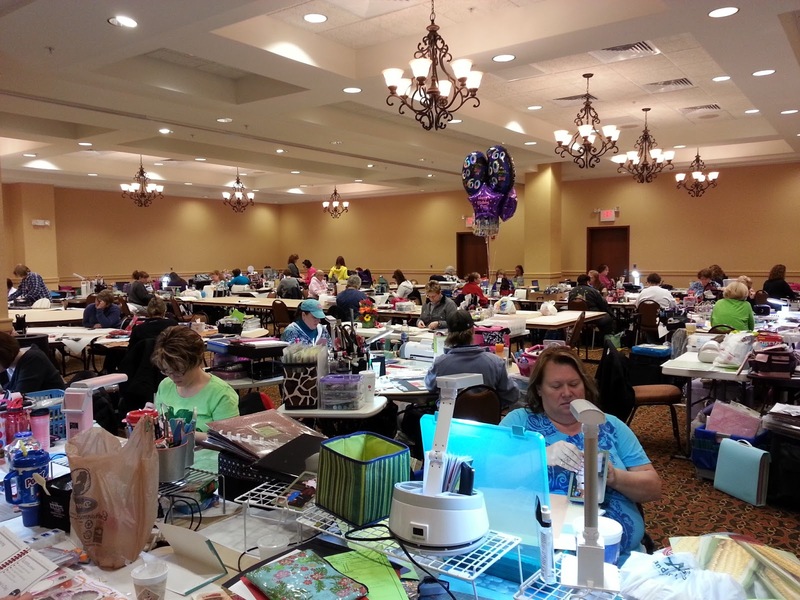 You can use your basic dies, that you've had for years and your newest dies to create amazing results...it's part of the Value and Versatility that Spellbinders engineers into every die they create. 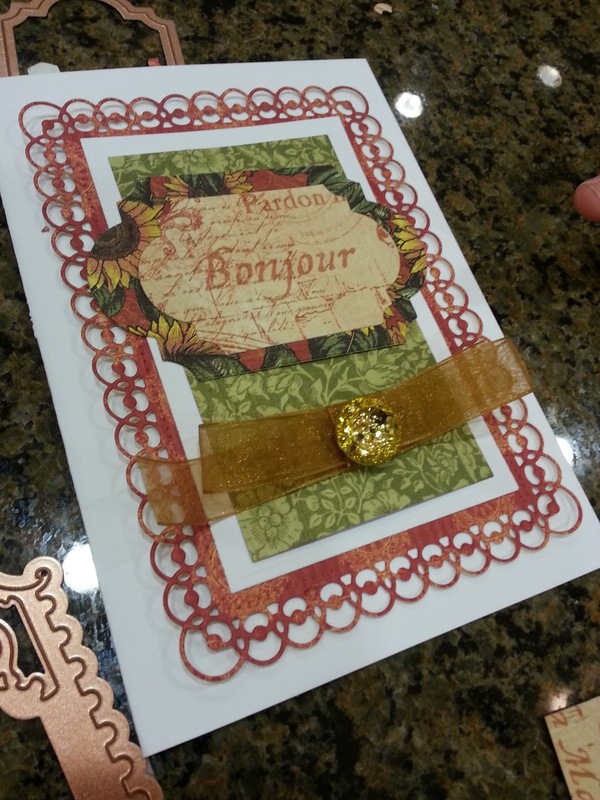 We had a nice big selection of French Country Collection from Graphic 45 on hand to create these beautiful cards. We really had a great time...when we start creating, the ideas flow. 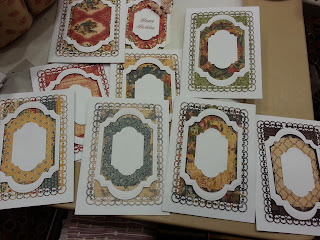 Each of the cards we created was beautiful and each one a little different from the next as each person got to build with the layers and combinations they chose. 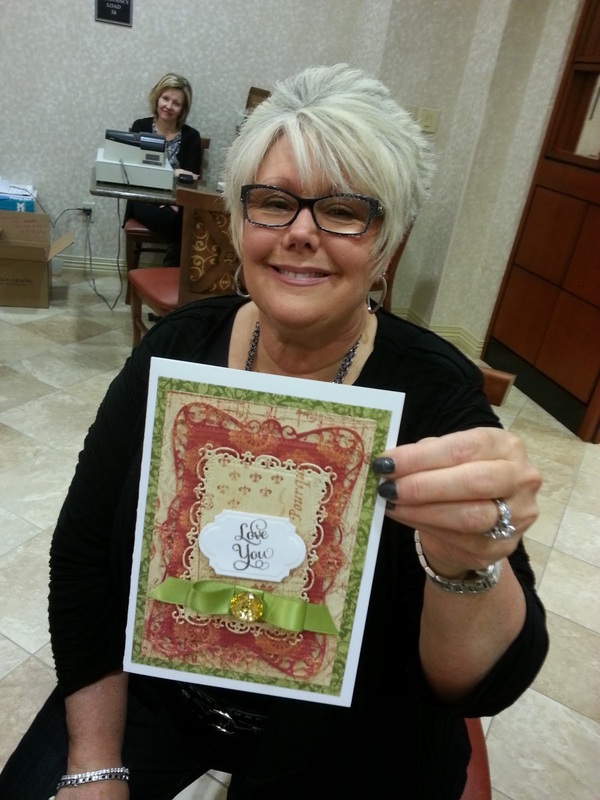 Everyone loves to share their creations...and rightfully so...they're gorgeous! 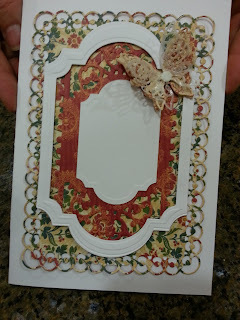 The finished card embellished with a butterfly cut with Le Papillion Two...she used wax paper for one of the layers in the butterfly and it's awesome! One of my friends, loved the cards so much that she bought all the dies, and the papers we used and created a basic all occasion card set that will be ready the next time she needs a card. She can stamp the sentiment she wants to use and embellish with a Shapability and voila her card is done! 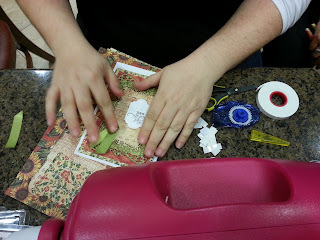 I thought it was a great idea and a great way to save time later. 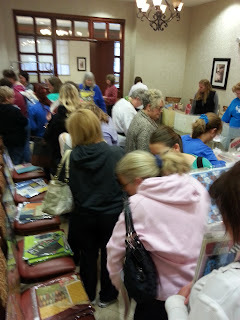 There was a special room with all the new Spellbinders releases...the room was mobbed...I couldn't even get in...I had to stick my camera in the door to get a pic. One thing I always do at a retreat...train an assistant...it gives me more time for important things like socializing and sampling the snacks that everyone brings to the crop. We had a packed house all weekend long...and we had a great time! I made lots of new friends and spread some crafts-spiration all around St. Louis. Thanks again For Keeps Sake and thanks again Spellbinders for letting me bring an amazing product to our friends and craft buddies in St. Louis. 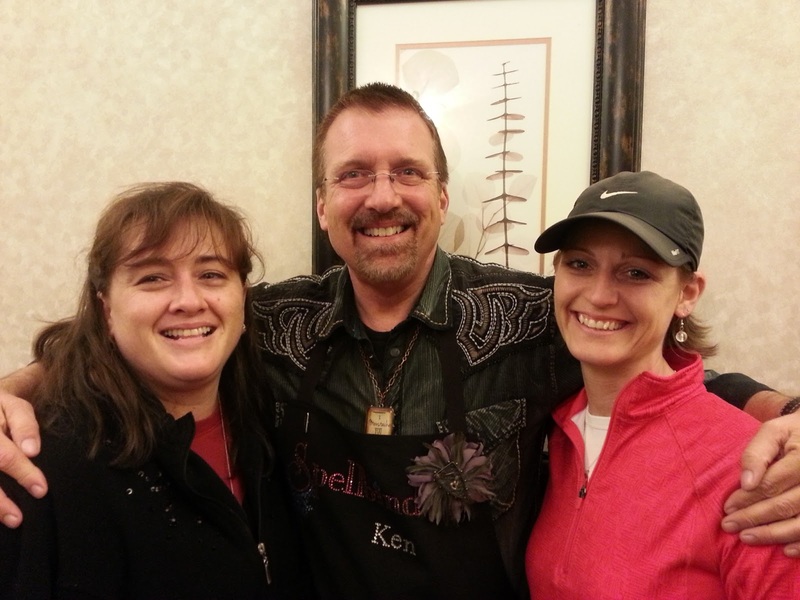 Thanks for stopping by today...make sure you create something beautiful...it's National Craft Month!